Vegans can use their pressure cooker for homemade yogurt, too! This recipe needs just four ingredients, your pressure cooker, and some time to get a great, fresh vegan yogurt. The key to the texture in this yogurt is using agar flakes. This is a vegetable gelatin which is produced from a variety of sea vegetables with strong thickening properties. The seaweed is boiled to a gel, and then pressed, dried and crushed into flakes. 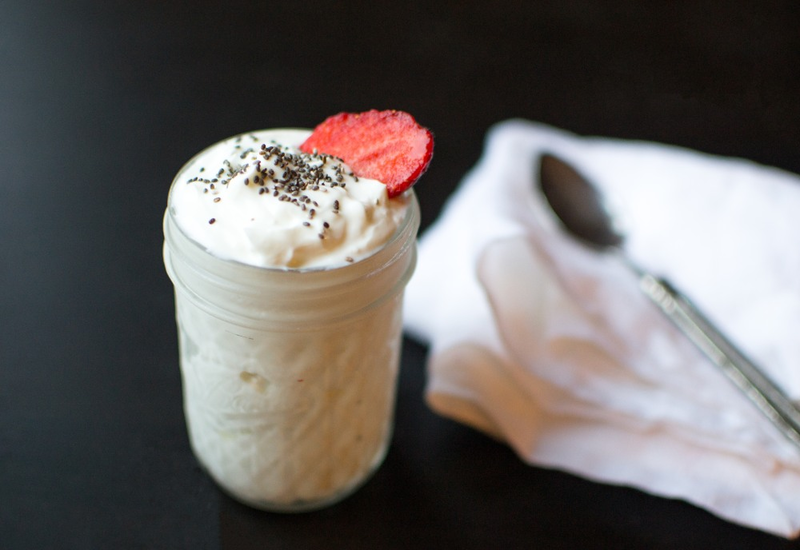 Once you perfect your coconut milk yogurt, experiment with toppings and flavorings to keep it fresh and fun. The coconut milk yogurt can separate a bit when stored, so stir well before serving. The probiotic powder in this recipe provides live bacteria and yeasts that are good for your health, especially your digestive system. Probiotic powder can be purchased online or you can buy probiotic capsules at your local health food store. Split the capsules apart and pour out the powder inside. Discard the capsule casing. Per Serving: 269 calories; 28g fat; 6.0g carbohydrates; 3g protein; 0mg cholesterol; 18mg sodium. Was excited but a little nervous about trying vegan yogurt in my MultiPot. After 10 hours there was a nice tang and taste to it and it's setting up in my fridge quite nicely. The trickiest part for making this was finding probiotic powder, but amazon saved the day. I read that you can also just use capsules that you empty out. Overall a solid recipe and a great vegan alternative to dairy yogurt. I will definitely make this again. I made two batches. The second time I let it ferment for twice as long, about 18 hours. What I found is that the flavor is more "tart" and yogurt-like when you let it ferment longer. It also had a little bit of a grainy texture, but after some research I learned that the grainy texture is characteristic of coconut milk. If you want a sweeter tasting yogurt, I would also add more sweetener. I will definitely make it again, with minor adjustments. It's the best way to make vegan yogurt at home. This was a pretty good breakfast dish. Not a big fan of coconut milk but I added in some fresh peaches and granola to make it a little more filling.